Amid a sea of American flags checkering downtown El Paso, Beto O’Rourke formally launched his 2020 presidential campaign Saturday. “I officially launch this campaign to serve you as the next President of the United States of America,” he said to roaring applause. “This state and its 38 electoral votes count like they’ve never counted before,” O’Rourke added, referring to Texas, now a battleground state following last year’s Democratic gains. The former El Paso congressman has been crisscrossing the country in recent days, making stops in multiple states including Iowa and Nevada. Later today he’s holding rallies in Houston and Austin. 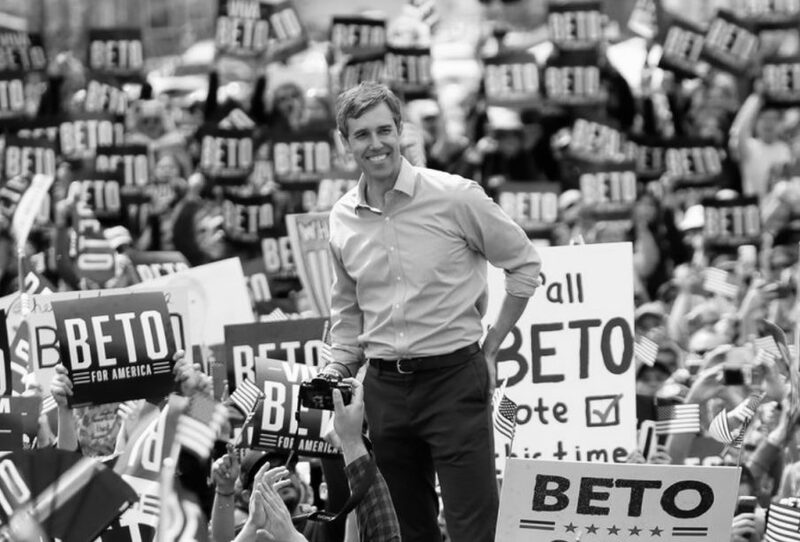 O’Rourke is among 14 candidates vying for the Democratic presidential nomination in an election cycle where a majority of primary voters say beating Trump is a priority. In his remarks Saturday, O’Rourke leaned into progressive values and policy positions. Voting Rights: He would sign into law a new voting rights act and institute automatic and same-day voter registration. Health care: He supports quality universal health care to bring costs down. Too many Americans, he said, are dying of diabetes, flu, cancer, and maternal mortality. Veterans’ mental health care and housing needs aren’t being met. Criminal justice reform: He wants to end cash bail and confront the reality of our justice system that looks at the color of people’s skin. Economy: He wants to break up the concentration of power at the top, pursue “conscientious capitalism,” and strengthen unions. Immigration: Don’t deport Dreamers and stop the separation of families at the borders. Equal Pay: Women must be paid the same as men, O’Rourke said. The El Paso Republican Party was scheduled to host a small counter rally to “Support Trump” earlier Saturday. MAGA hats were being promoted. There were no photos or livestream available from the event, according to the party’s social media accounts. The next announced Texas stop for O’Rourke is the She the People presidential forum in Houston on April 24.